In 2016, two modules for the yearly capacity building event EvaluationWORKS! 2016 were offered to be tailored to the specific target group, capacity level and context of each Member State and conducted in the local language. 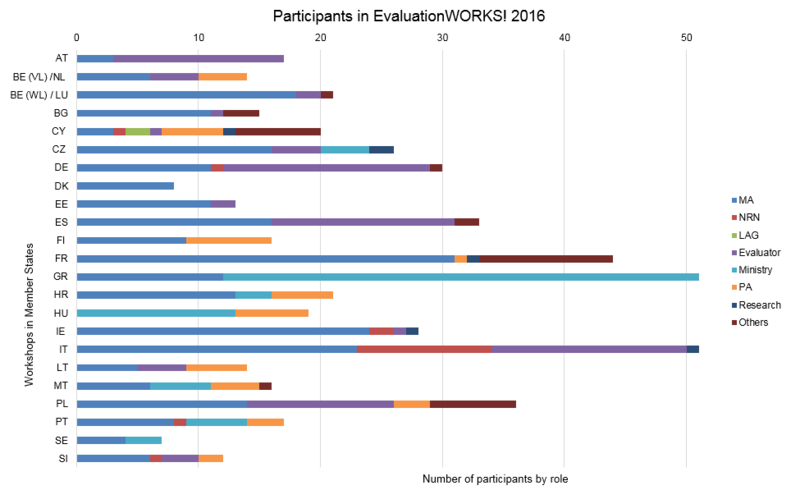 The EvaluationWORKS! 2016 trainings have been attended by roughly 530 participants so far. The primary group of participants were Managing Authorities (50%), followed by evaluators (17%) and representatives from ministries (15%).